I have two customers with 40.somethings , the expensive version and they aren’t intrinsically boomy, can you propose why they would be ? Must be the particular interaction with your room. Difference in amp or to close to a wall? IIRC it must have been some 5 years since you last wrote that. The dubbing theatre (Circa 30ft x 40ft) I used to work in had a pair, and the low bass was too much, and flabby. But voices were very natural, and voices are probably the most important sound that will come out of your speakers. Now using Harbeth 30's in a smaller room, and much better. Remember, don't be seduced by the fashion for excessive bass! The real question for the OP is, "where the heck is @CnoEvil ?" This topic IS his wheel house. I'm here.....but I can't help with the thread title, as I haven't heard the Spendors. as an aside, whilst my ATC SCM150ASL speakers are back at the factory for new drivers, I reconnected my Spendor SP100R2 speakers I do like them. And after the ATC150 speakers they look like tiddly little bookshelf speakers! 1. I want to like the Kefs more....but I just have this feeling that Harbeth will sound Beautiful, whereas the Kefs will sound Impressive...a bit like comparing a beautifully designed, gloss black electric violin, with a slightly battered Stradivarius. One causes your jaw to fall open in awe; the other has you in tears. Give me the latter every time. 3. I think it really will be a fascinating day....maybe like comparing an old school "seat of the pants" sports car, with a modern, fully computer controlled GT, which mitigates a lot of the risk. One makes you whoop with delight; the other impresses you with its sheer competence, but doesn't quite instil the same deep sense of profound joy. 4. I can't help but feel it will come down to Truth or Beauty...if Keats was there, he'd probably write an Ode about it. 5. I won't be comparing the speakers against each other per se, but against how live acoustic instruments sound and against how I'm moved by Opera/Orchestral stuff.....which (imo) is much harder to get right and where many modern systems are unconvincing. 6. I like to hear how a system sounds when playing Softly, Moderately and Loudly. For me, if there is something I don't like about a system, then playing it loud seems to exacerbate it. I also like to see if a system can increase to high volume without strain. It will be interesting to see if my 35W amp can still do this into less Sensitive speakers. 7. To me, the Harbeths behaved similarly to a Cello or Violin, where the way the Cabinet behaves is integral to the way it sounds (as opposed to making the cabinet so inert, that it is removed as much as possible from the equation). They sound warm, natural and comforting, especially when playing Acoustic, Folk and Classical music...but it's like it's so focused on voices, that it loses out in other areas. 8. When we listened, Mrs. Cno's comment was that voices sounded lovely, but it seemed to be at the expense of excitement. When the volume was turned up, there was a pleasant bloom to the mid bass, much like I got from my old Linn LP12, back in the day. When we switched back to the Kefs, they sounded more "modern"...and by that I mean the bass was tighter, dryer and punchier and the Treble was crisp, yet sweet. On the Harbeths, the Treble was more "liquid". 9.With individual acoustic instruments, like Double Bass, the Kefs were very real and natural....but just didn't quite have the bass grunt of the Harbeths. The overall performance from the Harbeths was just a more relaxed listen...a sort of chilling out in your favorite, smoke-filled Jazz Club, experience. Whereas the Refs had a grab you by the ghoulies, "make you sit up and pay attention" presentation. 10. "Writing about music is like dancing about architecture" - I don't know who said it, but they had a point....so I will do my best to describe the qualities of these two brilliant reference monitors. 11. With the Harbeths, we were enveloped with a comforting, fullrange sound. The bass sounded like there was a sub tucked away, the midrange was glorious and there was no fatigue whatsoever. Instruments sounded natural. It produced a sound that I could listen to all day...and it took what I liked about the SLH5+, but elevated it up several notches in every department. 13. They're quite similar in some ways, yet quite different in others. Both produced beautifully sweet treble, with the Kefs being a touch cleaner. They both had a highly detailed and accurate midrange, with the Harbeths being slightly richer and they both had prodigious bass, with the Harbeths going a touch deeper and the Kefs being bit tighter. 14. I was surprised that the Kefs sounded almost as natural on voices and acoustic instruments, but had a vibrancy that the Harbeths lacked...not bad, given the Harbeths are over 30% more expensive. It just shows how well sorted the UniQ is on them. 15. On voices alone, I would say the Harbeths are a smidgen better....but the Kefs get close. The Harbeths have more of an Old Fashioned sound, but brought up to date....so would be closer to a big single range driver than the Kefs. 16. The Harbeths are the most "Natural" speaker I've ever heard. The Blade is the most "Real" speaker I've ever heard and the Ref 3s give a good taste of that. If you think these descriptions are the same thing, then it highlights the subtleties with which I'm trying to grapple. - Harbeths - They give a sound which allows you to close your eyes, luxuriate and relax to...while being swept up in the music. 18. When I say the Harbeths are relaxing - it's because they are so involving. They dig up remarkable detail and with room reinforcement, are a genuine Full Range speakers. They are a Studio Monitor and it shows. You will hear the differences between amps and recordings...it just does it in a slightly different way to the Kefs, which I've tried to put into words. 19. The big Harbeths excel by sounding incredibly natural and realistic when it comes to anything that isn't amplified. The Kefs excel by sounding incredibly detailed and exciting with anything amplified......and they are both very (very) capable doing what the other really excels at. It's like trying to decide which "Charlie's Angel" you prefer. 20. IMO. The Harbeths are much more "Equipment Agnostic", as long as the amp has enough power....though they improve as the quality of the system improves. 21. The Harbeth 40.2s manage to have incredible resolution (as befitting their Monitor status), but still always remain natural and enjoyable. They highlight poor recordings, but never make them even worse than they are....it's a neat trick. 22. Is the sound of the Harbeths more like real musicians, playing realistic instruments, in front of you? Is the sound of the Kefs more impressive on first listen, but more "Hifi"? It goes without saying that the Kefs measure well....but so I believe, do the Harbeths, which are so coherent that they sound like one big driver. They sound totally real on the things that I use to judge a good speaker ie. Human Voice, Piano, Violin and Soprano...and their 8" mid range unit seamlessly covers a wide range range. My choice will come down to which speaker gives me the stronger emotional connection with the music. 23. If the Harbeths were a person, they'd probably be Susan Boyle ie. no idea from looks alone, of the performance potential. They are big, imposing and room dominating. 24. I have spoken at some length about their sound, You are rewarded with a wonderfully emotive and emersive sound. They give a "Musical Performance", where you feel you are sitting about 6 rows back. IMO. There is a slight romantic glow to the the music, as everything sounds just wonderful. They have huge scale and enormous detail....and the scary thing is, I think I'm only scratching the surface. They can handle a 600W amp and are revealing enough to immediately show improvements made anywhere in the system. 25. The answer to the question, "Do the Harbeths sound boxy", is quite a difficult one. They sound a little less open than the Kefs and the more space you can give them, with the better kit in front of them, the better and more open they sound. I think they are very natural, with a tiny hint of warmth, which makes the midrange shine and acoustic instruments sound as they should. Mrs. Cno says that she finds them a little boxy and unexciting for her taste...but our tastes differ. I like to shut my eyes and wallow in the music, whereas she likes to be invigorated by it (much like her taste in Men!!). The Refs bring her up close and personal to the musicians, like she is right in the front row, a couple of feet from them. 26. The Refs trade a little of that natural, organic flavour, for a slightly more dynamic, exciting and open one. 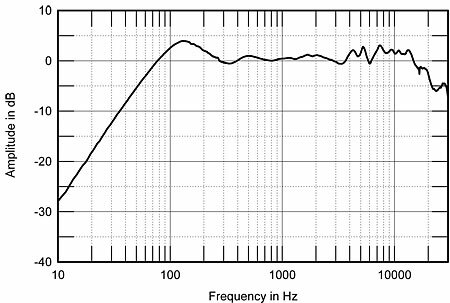 I feel that with the Harbeths, you are (slightly more) listening to a performance, whereas with the Kefs you are (slightly more) listening to a recording. The Kefs are still very rewarding and refined speakers, that have a bass that is a smidgen tighter, but less deep. 27. These are both versatile speakers and cover everything well. If your taste tends to classical and acoustic, you have a lively room and your preference is for a smoother, euphonious sound...the Harbeths are the way to go. If you don't listen to a lot of Classical, like a more energetic, but still refined sound...then the Kefs win out. 28. I don't think the Harbeths are better....just preferable for my taste and in my situation. 29. The Kefs can sound well below par, if something isn't right....the Harbeths shine when everything is right, but don't punish in the same way as the Kefs when it isn't, so are more forgiving. 30. There are still areas where the Ref 3s are slightly preferable...and if it was a straight race between the full list of both speakers, the Refs would have been the winner. 31. What the Harbeths do for music, is rather like what a Polarizing Filter does for Landscape Photography. They remove the glare, by allowing the colour richness of the picture to emerge, without being washed out. They give a little more "Meat on the bone". 32. I have not heard any speaker, at any price, that sounds so natural and "right" with Choral Works, Violins and Opera. I have heard speakers that sound more open and exciting on non-classical music - and to some extent, you get emotional engagement, by trading outright excitement (a trade off I'm happy to make).....though I have also never heard a speaker, that combines the oft diametrically opposide skill set, of being hugely detailed, yet remarkably forgiving (certainly the most forgiving speaker I've heard). 33. In the real world, HiFi choice is about compromise....and understanding what to compromise is the key to musical enjoyment/satisfaction. - Someone whose listening preference includes a high percentage of Classical and Acoustic music. - Anyone who keeps swapping kit, as no matter what they get, the sound is just a bit too edgy, forward and analytical. - Older enthusiasts, who simply miss the mellower sound they remember from their youth....and just don't get on with the more modern sound. Who should (probably) avoid Harbeth? - Those who like a more forward, highly controlled and more analytical presentation. - Those who place excitement and a very open/clean presentation, above all else. A more relaxed sound, puts them to sleep. - People who value a drier, tightly controlled and punchy Bass. - Those who strive for absolute neutrality and are prepared to put up with poor recordings sounding truly bad. - People who are naturally drawn to speakers like Focal and Triangle....and rather like the "Presence Range" in the audio spectrum being slightly elevated - giving the feeling of being a couple of feet from the artist. For what ever reason since i havn't heard Harbeth or spendor it just made me think of atc, that you also should try comparing harberth,spendor with atc. For what ever reason since i havend heard Harbeth or spendor it just made me think of atc, that you also should try comparing harberth,spendor with atc.